I haven’t written in so long and it feels great to be able to come back to my blog and share my thoughts with you all. I have been busy handling school, work, and life and I honestly tell you now that if hard work does not kill you, it will make you detest all the rich and successful people you know. But hey, you can’t detest those you wish to become, so here’s me raising a glass to all the successful people out there who broke their backs to get to the top. It is not easy following your footsteps but my eyes are on the goal. Dine with you soon. Yea, I know what you are thinking. Is this a post about whining and soliloquy? Well, no. Be patient and take deep breaths. I am getting to it. She was visibly taken aback. She had probably expected me to equip her with coping skills on how to deal with that mean guy from accounting or how to act so her boss can be nicer to her. But I asked her the question that I knew would address all of her issues. Did she feel like she deserved to be at her job, in her position, getting the benefits she was? She proceeded to tell me how qualified she was and how she had worked hard to get where she was. But I didn’t ask her about all that. And it became evident right there that what I was thinking was true – she felt she did not deserve to be in her position at work so she dedicated her energy to either defending her right to be there or hiding away so no one would discover her secret. Surely, she’s not a peculiar case. Many of us have had a brush or two with the impostor syndrome. It is that tiny voice in your head that tells you to introduce yourself as ‘a boring technician’ when you are actually the senior engineer. It is that whisper in your head that says you can’t call yourself a tech girl because you don’t know all the coding languages in the world. It is that mixed feeling of anxiety and confusion you get when you are invited to a prestigious meeting with your peers and you start to wonder when you arrive at the meeting if the said people are really your peers because they seem to be bounds of knowledge ahead of you. 1.) It makes you less likely to take initiative at work: People who let the impostor syndrome take over their lives are less likely to make decisions on their own. They often second-guess themselves even after ensuring that the decision they have reached is the best possible one. This makes it difficult for them to progress at work because really, no boss wants to promote a person who requires 10,000 emails of assurance before they make a decision. 2.) It makes you unnecessarily defensive: When people feel they don’t belong in a position, company or any place at all, they tend to defend themselves even when they have not been attacked. The lady I spoke with went on to tell me about her 1001 qualifications when all I was really asking was whether she felt like she belonged in her team and her workplace. A defensive attitude, no matter which direction you swing it is hardly ever a good way to climb up the ladder at work. It makes you unpleasant to work with, makes it difficult for others to understand you and makes you come across as ‘naturally abrasive’. Yes, we are all abrasive every once in a while when things are just not looking good, but when the people you work with start to think that is your natural disposition, you have a problem. “Wow! So many shoes have been cleaned on this mat, I think it is time to move it to the living room as the center rug” Never? That is exactly how your boss thinks of you when you are cowering. I know the impostor syndrome can be overwhelming but it is something you must overcome. Firstly, start by believing in yourself. If you have been offered a seat at the table, it is because you deserve that seat. No, it is not affirmative action. It is not for demographics. It is because you are qualified to be there. Own your seat. Secondly, focus on delivering your best work rather than worrying about what others think of you. You’re new and your colleagues don’t like you? Focus on delivering your best work. You are not in the workplace to be liked. You are there to prove you are worth the contract the company signed with you. And you want to know what the funny thing is? 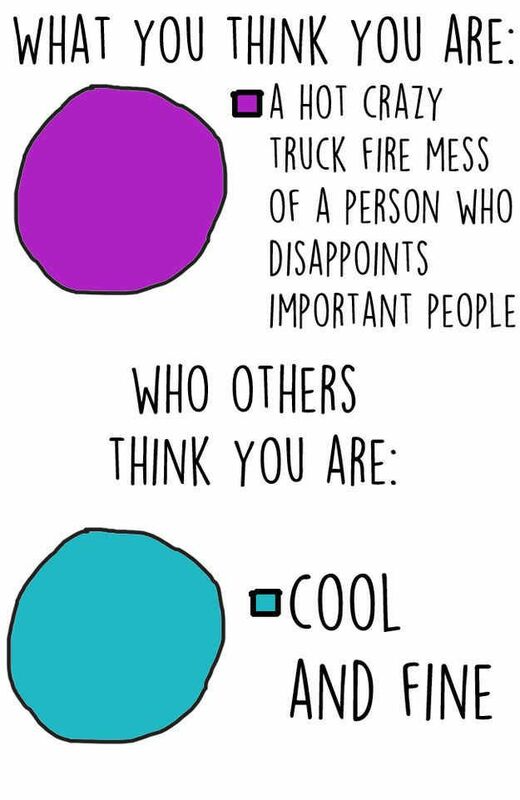 Your colleagues probably don’t even dislike you. You just expect them to because you think you shouldn’t be there in the first place. Lastly, be assertive. 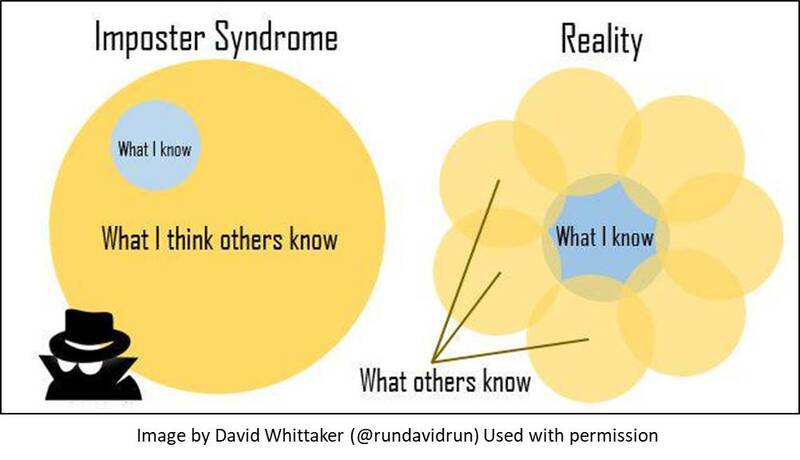 Many people with impostor syndrome find it hard to assert themselves. It is like they have this fear that any assertion on their part will lead to them being exposed and laughed at. Think about it though. If you are qualified to be where you are, what are afraid of? Why do you think anyone will expose you? What exactly will they expose? Possibly nothing. Next Next post: Why Are We PREPARING for Bad Marriages?